WALKING FOR A CAUSE — The “walkers” took to the course to finish out the the Gem City’s ninth annual Campbell-Dickinson 5K Run Bike Walk fundraiser for cancer, Saturday. The “walkers” were the last group to hit the road following the 5K run which began at 10 a.m. The Noah Long Kids 1K Fun Run followed at 11 a.m. with the bike ride at 11:40 a.m.
TORONTO — A little cold and snow flurries were not enough to keep hundreds of area residents from hitting the streets in Toronto for the ninth annual Campbell-Dickinson 5K Run Bike Walk and Noah Long fun run fundraiser for cancer, Saturday. Run organizer and President of the Toronto Coalition for Revitalization George Komar said they had a great turn out despite the weather. “It was like this last year, too,” he said. Komar said they had 413 pre-registered runners and over 100 more sign up the day of the race. He said they won’t have a total of how much they raised for a few days, but they are certain it was a good turnout. 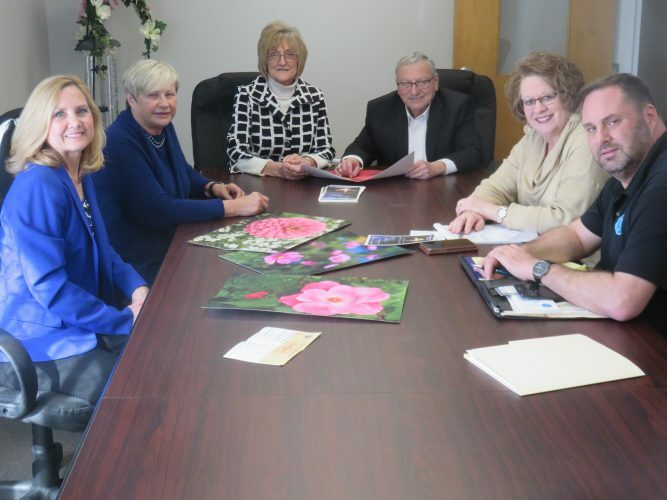 At a city council meeting, Glenn Dickinson, said that the community really supports his wife, Jennifer’s, auction. “We come home to gift baskets on the front porch,” he said. Glenn Dickinson is a city councilman and Jennifer is a Toronto City Schools teacher and cancer survivor. According to officials the money that is raised is donated to the Trinity Teramana Cancer Center TEAR fund and the coalition. Organizers, Komar and Toni Moreland said that this year they want to not only remember and honor those who lost their battle with cancer, but to celebrate life and the survivors. For the first time, all events were free to cancer survivors. The group added a survivors dinner on the Thursday before the race where Jennifer Dickinson was the evening’s speaker. The race started at 10 a.m. for racers at the TEMS building, 201 S. Fourth St. The racers were followed by the kids 1K at 11 a.m.; the bike ride at 11:40 a.m.; and the 5K walk at 11:45 a.m. 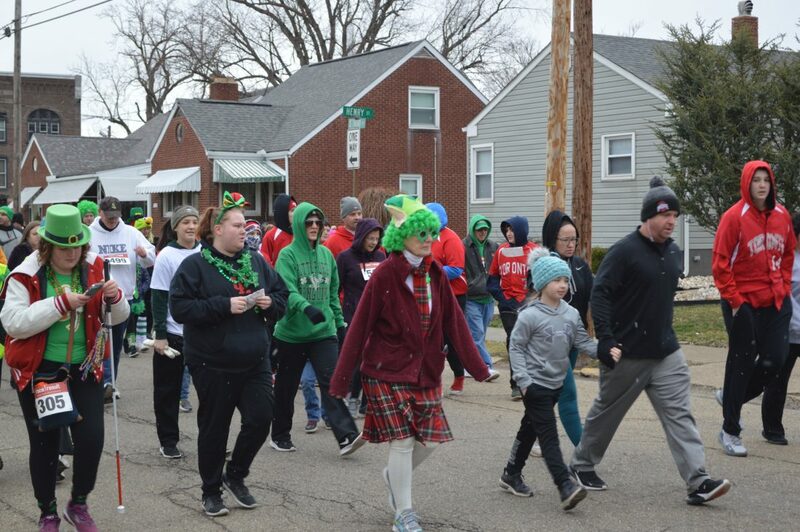 In addition to the race, there was also the annual St. Baldrick’s Shave Off were adults shave their heads in support of cancer research, officials said, and face painting, food vendors and other activities. This year’s sponsors include AEP Ohio, Upper Ohio Valley Building and Construction Trades, Wal-mart Distribution Center, Laborers Union Local 809, Strip Steel Credit Union, Karen Lundquist, Anderson Campbell, Voto Sales, Steel Valley Charities, Steubenville Electrical, Holiday Inn, Heritage Complete Home Care, First Choice America and TIMET. Anyone still wanting to make a donation to the run should contact the Toni Moreland State Farm agency at (740) 317-3947 or www.thegemcity.org.